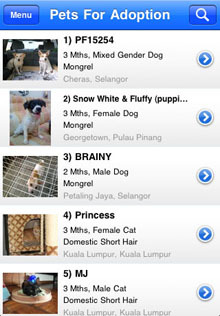 PetFinder.my is now on iPhone & iPod Touch! 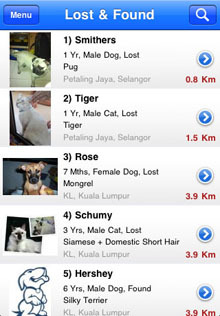 Malaysia's most adorable pets are now readily available at your fingertips. 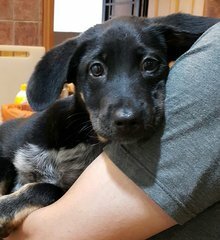 Whether you are looking for a lifetime furry companion or purely wish to have your heart melted by the lovely animals, this FREE PetFinder.my application is here to serve your needs. 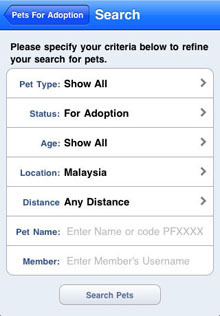 If your friends are looking for pets, just whip out your iPhone and show them the furry friends for adoption. 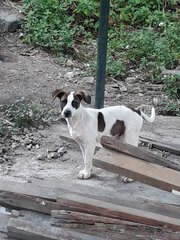 Saw a wandering pet on the streets that looks lost? 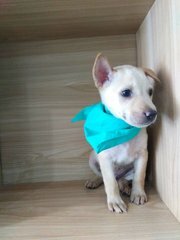 Load up the Lost & Found section and see if any corresponding incident is reported at PetFinder.my and help reunite it with the owner. 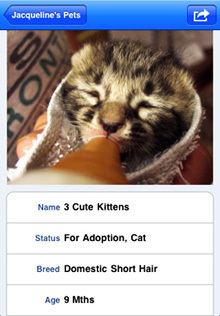 Video Playback: Added video gallery for pets, view cute animals live in action! 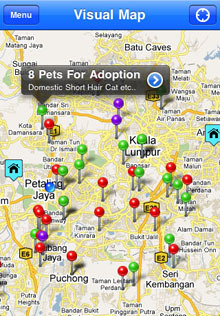 Scan your location and generate a Visual Map showing nearby pets of interest and animal shelters. 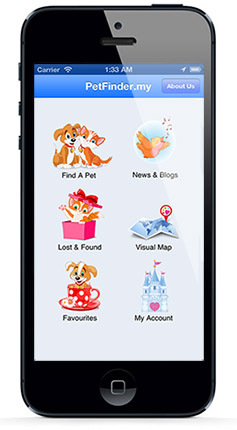 Easily browse through pets available at each location, or pay a visit to the nearest animal shelters. Navigate our user-friendly photo gallery by thumbnails, or zoom in for the large photos and captions in both portrait and landscape modes. 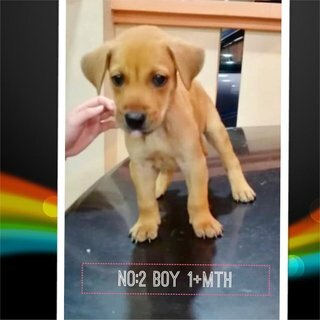 Browse video gallery to see the cute pets live in action! Conveniently jump to any page within the results by clicking on the Page number button, or click on the Next & Back buttons to navigate the listings. 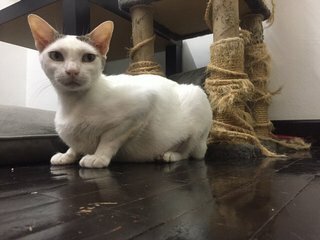 Did you witness an animal abuse case? 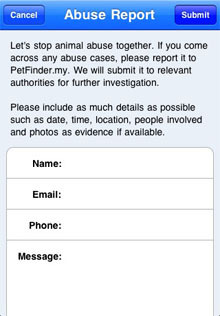 Submit it at the About Us section and we will assist in reporting this to relevant authorities for further action. 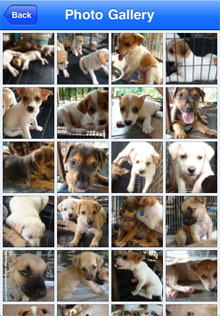 Include photos as evidence to incriminate these heartless abusers. Love the iPhone app? 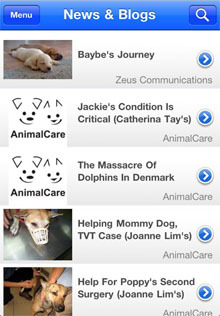 Please don't forget to rate and review it at the iTunes App Store and share it with your friends so more animal lovers are aware of it! Please get in touch with us at the Contact Us page. You can also discuss with other members at our forum.